Twice a year, you enjoy the Center City District's popular Restaurant Week. Every summer, you join friends to celebrate after work at Center City District SIPS. Today, on Giving Tuesday, you can be part of creating a great new Center City venue for dining, getting together after work, and just plain having fun – year round: The new Dilworth Plaza at City Hall, opening Labor Day 2014. 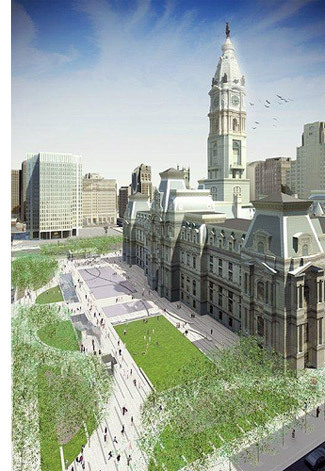 The Center City District has a challenge grant from the William Penn Foundation toward constructing the new Plaza, and you can help us meet the challenge! Make a contribution today as part of the national #GivingTuesday effort – and your gift will be matched, dollar for dollar. Give back today, and enjoy all that Dilworth Plaza will have to offer – not only on Tuesdays, but every day, all year. Thank you for becoming a Friend of Dilworth Plaza. Meet you there next year!